While on assignment at the Lincoln Museum, the Illinois State Historian asked me and my son Jack if we wanted to see the rare collectables in the "vault inside the vault" located in the museum's heavily guarded basement. 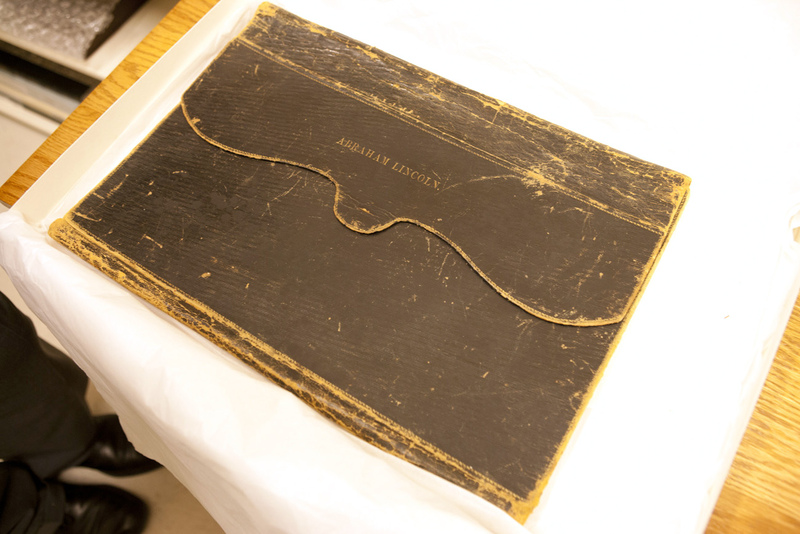 Items included Lincoln's briefcase (pictured), The13th Amendment to The Constitution, The Emancipation Proclamation and The Gettysburg Address. All brought out for us to examine!